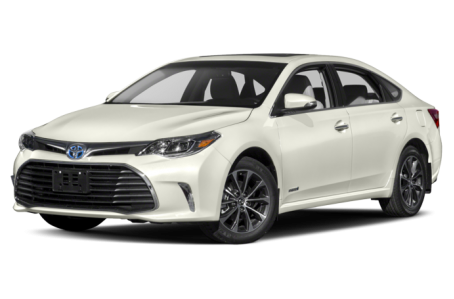 The 2018 Toyota Avalon Hybrid is the most fuel-efficient version of Toyota’s flagship sedan. It is powered by a standard 156-hp, 2.5-liter 4-cylinder and an electric motor mated to an electronically controlled continuously variable transmission (eCVT). Fuel economy for the Avalon Hybrid is an EPA-estimated 40/30 mpg city/highway. Three trims are available: the XLE Plus, XLE Premium, and Limited.